Sappheiros is the Greek name for sapphire, which simply means ‘blue’. It has been known for years as a royal gemstone, and is often seen in royal crowns, jewellery and robes. But it is also a highly prized stone for individuals for its rich and magical history and qualities of prosperity, wisdom and inspiration. For those wishing to increase their psychic abilities, sapphire is the obvious choice. It is a powerful stone that provides clarity, especially in determining meaning from higher powers. As a gem it fosters courage and provides inner-faith, you will feel more certain, have self-belief and confidence in your gifts and decisions. One great way to improve the intensity of your intuition is to use sapphire as part of your meditating routine. Let the crystal challenge any negative thought patterns you have. Allowing you to be much more rational when it comes to your hopes and dreams, turning them from just thoughts into actual reality. 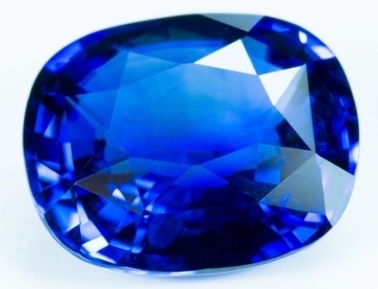 Sapphire has a long history in regards to peace, when it was originally used during signings of treaties. It signifies that all parties are unified and that any concerns between those parties have been put to rest. You can use sapphire when you need to build bridges, whether that be with your family, friends or even a loved one. It will shield you from harm, whilst minimising negative actions or words of you and those around you. With the stone you should feel a greater ability to make yourself heard, use sapphire when you feel as though you have been slighted or mis-treated by someone you know and trust. It is a great leveller and will bring fairness and harmony to a situation. Feel your authority to say what needs to be said and justice will prevail. What on earth is Gut Flora? 0800 915 2345 0808 156 4931 £32.95 for first 20 minutes, £1.50/min thereafter. 0906 110 4880 0906 110 4881 £1.50 per min plus your phone company's access charge. © The Psychic Gift 2013 - 2019.